Filters Dirt, Trash And Even Water Out Of Your Fuel! Filter your fuel? Doesn't the engine fuel filter do that? Yes, to a certain extent it does. However, the fuel filter will not separate fuel from water. Mr. Funnel Fuel Filter that really does filter your fuel and acts as a water separator before damaging water, dirt and other contaminants reach that $10,000 new engine! No moving parts. 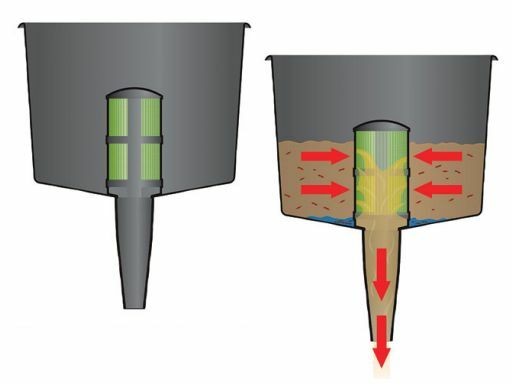 So, all you do is insert the funnel, pour the fuel, watch how cool the filter does its job and dump out the contaminants. 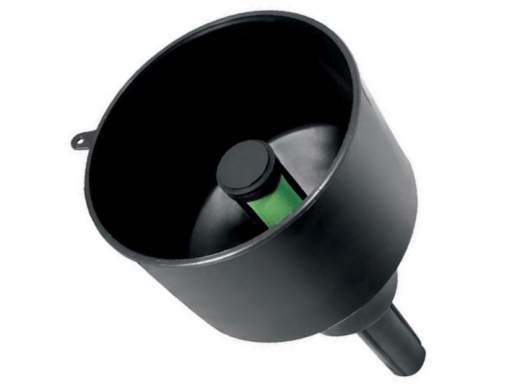 Don't gas up your plane without the Mr. Funnel Fuel Filter!